We were in Canterbury filming for Andrew Jaynes, the timber window company. 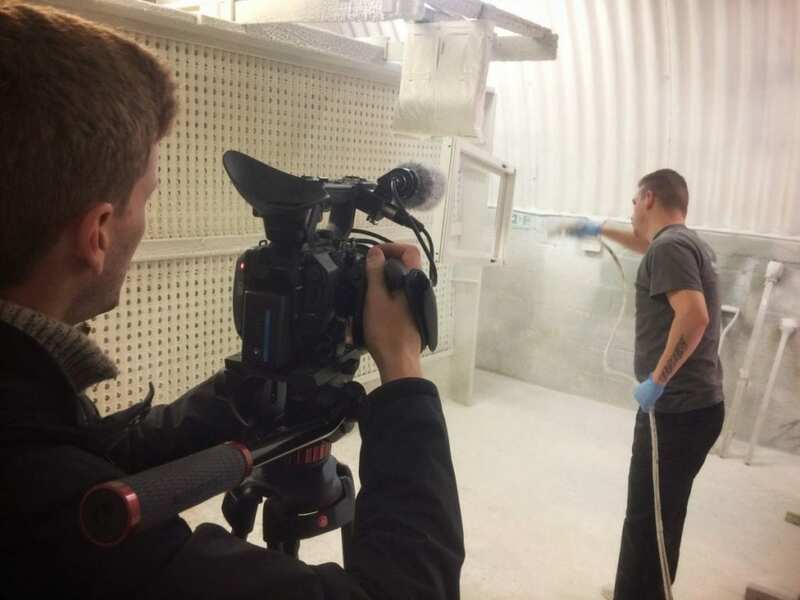 We’re creating a short film to show off their skills for developers to attract new business. I have to admit to being a bit nervous filming this particular part of the window making process. The paint they use is ultra hard wearing, so not the best environment to put your camera and lens! Still, we got some great footage of the team hard at work, and it’s going to cut together nicely.